...have always set the rhythm of human life. They serve to keep our body's internal "circadian" clock in sync, so we are alert and awake in the day, and ready to sleep at night. Our health, mood, and behavior can be affected when the quality and quantity of sunlight is lessened. This could be from the shorter winter days, cloudy skies, shift work, jet travel, or working indoors away from daylight. 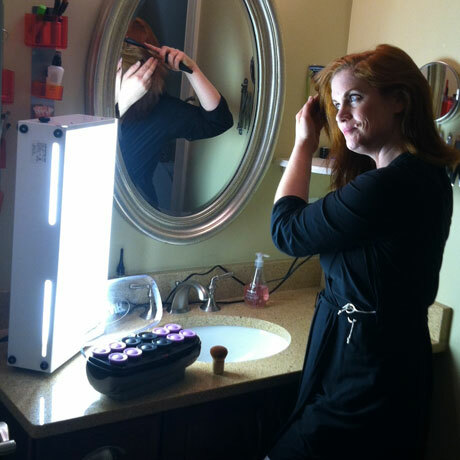 The following are some of the most common questions to do with light therapy. If you don't find your question here, check out our resource links or feel free to call our knowledgeable staff for help at 1-800-880-6953. 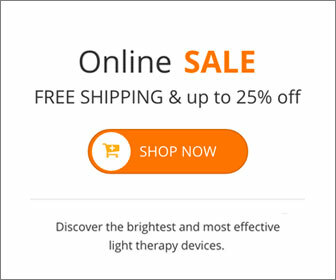 Light therapy involves exposure to intense light, which enters the eye, hits the retina and is transmitted by nerve impulses to the pineal gland which controls melatonin secretion, and thereby sets the body's internal clock or circadian rhythm. Depending on when the light is presented, the circadian rhythm, which controls sleep timing and daytime alertness, is shifted ahead or delayed. Bright light therapy rapidly reduces daytime melatonin levels and may enhance the effectiveness of serotonin and other neuro transmitters. 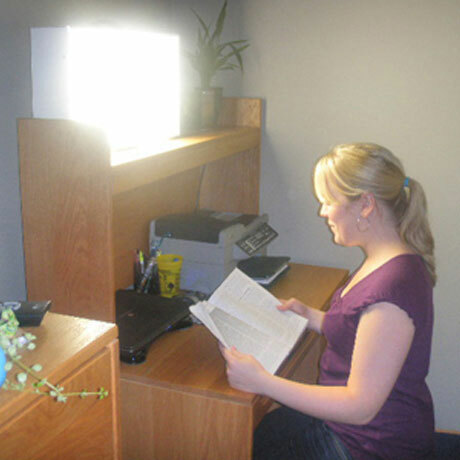 Bright light therapy consists of sitting close to the light box with eyes open so the light shines on the user's face. Looking directly at the light is not necessary. One is free to read, write or eat a meal while staying oriented towards the light. It can be a pleasant time to meditate, or listen to music. Sitting within the 10,000 lux range, 20 to 24 inches, for a 30-minute session soon after awakening is enough time, and equals sitting in the 2,500 lux range or at about 40 inches for a two hour session. Intensity levels are changed by moving towards or away from the light. Treatment can last between 15 minutes to three hours. Once adjusted to light therapy, one gets a fairly good intuitive feel for adjusting the session length to get the desired results. A positive response usually begins two to four days after beginning light therapy, and it could take up to several weeks to get the full beneficial effect. If patients do not respond to treatment, they may need a longer duration of morning light, or a trial of evening light. Some people can skip treatments for one to three days, occasionally longer, without ill effects, but most have symptoms returning quickly when treatment is interrupted. 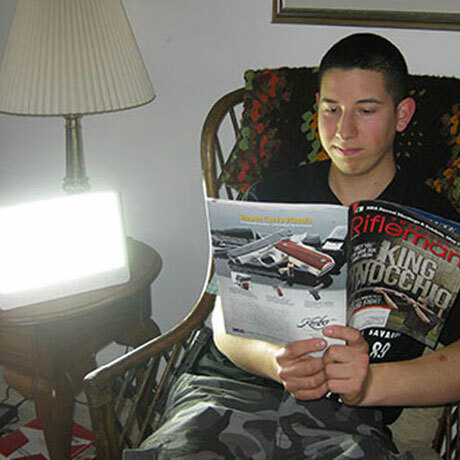 Light therapy can make our winters happier, healthier, less stressful, and brighter! Seasonal Affective Disorder is a form of clinical depression. The key point is that it occurs seasonally, starting each year between September and January, and disappearing during the longer days of April or May. During the winter, people with SAD are likely to experience fatigue, sadness, difficulty concentrating, increased sleep without feeling rested, carbohydrate craving and weight gain, feeling overwhelmed, loss of libido and irritability. People suffering from SAD may experience these and other symptoms to such a degree that they are unable to function normally, and often feel chronically depressed. About 10.8 million North Americans are affected by SAD. The Winter Blues are a milder form of seasonal depression. It's like SAD, but symptoms are to a lesser degree. Winter Blues can still cause distress and severely limit one's day-to-day capacities. An additional two to three times as many people may be affected by this sub-clinical form of SAD, or up to 25% of people in northern latitudes. Who is most likely to get SAD or the Winter Blues? About 75% of sufferers are women, although children and men suffer with it to. SAD typically starts in one's early twenties, but can start at puberty or later. It appears to be a genetic trait with entire families being prone to it. At this time, a cure is not known, but is treatable. Any side effects from Light Therapy? Side effects have been minimal. Some people have at first experienced anxiety, jitteriness, headaches or early awakening. Some people may switch to their over-energized summer state. While most of these symptoms disappear within a few days, most can be avoided by starting with a reduced session length or doubling the distance from the light for the first week. Individuals with eye diseases or those using photosensitizing medications should be monitored periodically by an eye doctor. Light therapy has not been shown to cause any eye disease. Do you need full spectrum lights to work? 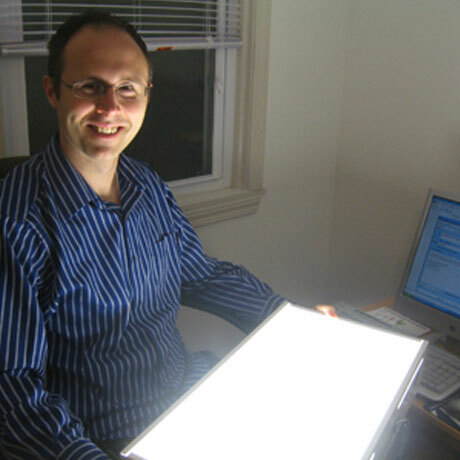 Researchers started out in the early 80's with "true full spectrum" lights that have UV rays. However, the UV rays posed a health problem with sunburn, eye damage and skin cancer. 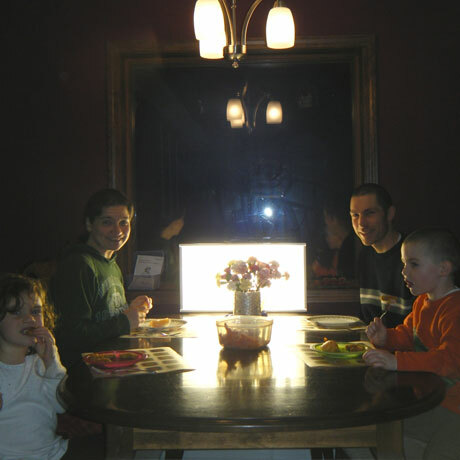 Recent studies have shown that the light's intensity is the key, not the UV rays. We use broad spectrum bulbs so our light does not produce any harmful UV rays. What about using a fluorescent ceiling fixture or incandescent bulbs? A ceiling light is located too far away from the user to give the needed light intensity and isn't orientated towards the user's eyes. 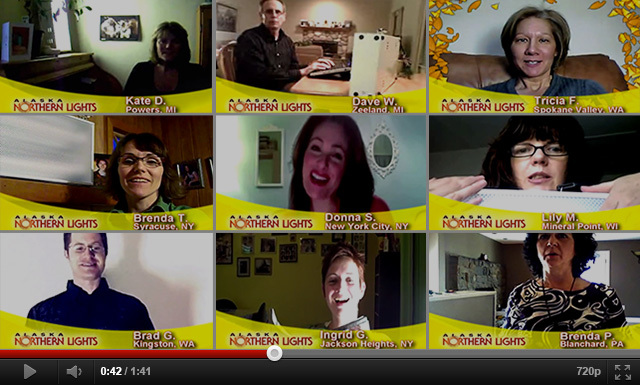 Therapeutic levels are five to twenty times higher than the light provided by ordinary light fixture. To achieve even 2,500 lux, you would need eight 4 foot fluorescent tubes. Fluorescent light diffused over a large surface is safer for the eyes than incandescent light that comes from a small source, such as that as a filament of an ordinary light bulb or halogen lamp. Can I use a light as an alarm clock? Yes. The NorthStar 10,000 Light Box can be used as an alarm clock. Simply plug it into an electric timer and orient it towards your bed. Experiment to see what distance works for the level of brightness you prefer. Does insurance cover the cost of a light box? Yes, an ever increasing number of insurance companies are reimbursing their clients for the purchase of light boxes for treatment of SAD, sleep disorders, PMS and maladaption to shift work. We have insurance forms that list the correct DSMIV-R code and other supporting evidence for the doctor to fill out. A copy of our insurance form letter can be obtained at the following links: as a pre-formatted PDF file. Please remember that individual policies vary significantly within the same insurance company. Your ability to get reimbursed, and the percentage of coverage if you are eligible, depends not only on who your insurance company is, but also upon the specific terms of your individual policy. If in doubt, contact a representative of your insurance company for further information. Many insurance companies will reimburse all or a portion of the cost of a light therapy device if proper diagnosis has been made by a qualified health professional. The following sample letter has been prepared to assist you in requesting reimbursement. It is to be prepared and signed by your doctor. 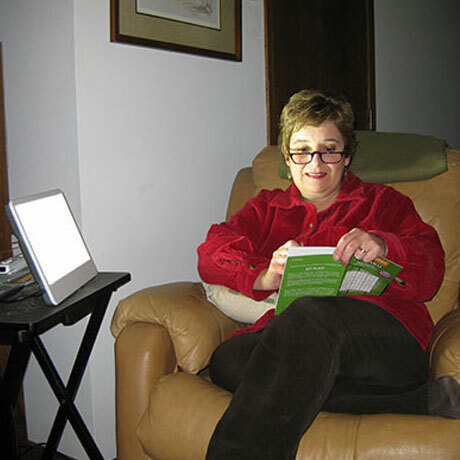 This information is intended to provide readers with general information about the current use of light therapies. No medical advice or claim is intended. We suggest that all interested persons seek the advice of a skilled clinician. 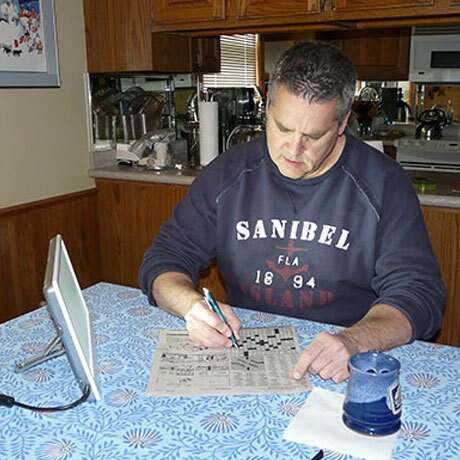 "My busy time arrives in the winter months and since I'm a tax preparer/accountant I need to be in top form. I live in Alaska where even on sunny days there isn't much sun and It's often cloudy or snowy or rainy and really, really gloomy. Without my light I'm can be a basket case. Just turning it on in the morning will notch my mood up several degrees and since I started using it as the days began to shorten I didn't have the going into the dark blues. I can't imagine trying to function without my light anymore."